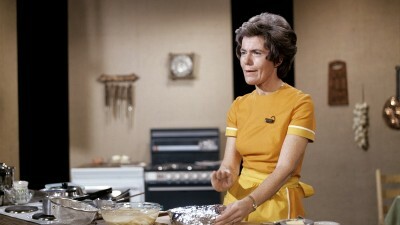 Ingrid Espelid Hovig was the Julia Child of Norway, teaching Norwegian housewives and quite a few men how to cook on her legendary TV program Fjernsynskjøkkenet (literally, The Television Kitchen). 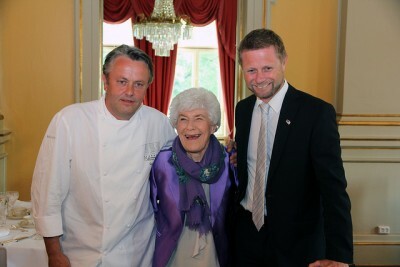 On Tuesday she turned 90, and was hosted at a festive state luncheon by Norway’s Minister of Health, Bent Høie, and one of the country’s most famous modern-day chefs. Terje Ness, the prize-winning Norwegian chef who’s been behind some of Oslo’s most famous restaurants with Michelin stars, composed the menu for Hovig’s 90th birthday lunch hosted by Høie, who, like Hovig, comes from Norway’s west coast. He carefully went through the menu for the festive occasion, and Hovig “oohed” and “aahhed” her way through it, before giving it her stamp of approval. Hovig, who made her debut as a TV chef during Norwegian Broadcasting’s prototype TV shows as far back as 1956, stayed active long after “retiring” from her show in 1996, at an age of 72. She has written more than 60 cookbooks, made appearances at countless food festivals and cooking-related events, advised myriad chefs and won a long string of prizes. She also was knighted by King Harald into St Olavs Order with the distinction of First Class. 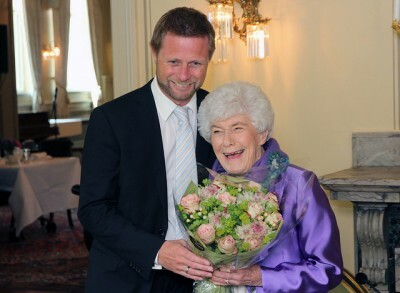 Her 90th birthday was also being celebrated with the publication of another new cookbook entitled 90 retter til Ingrid (Ingrid’s 90 courses), in which 30 of Norway’s top chefs present recipes for a three-course meal. She’s remembered for introducing the use of parsley in Norwegian homes, and suggesting it was okay to “jukse litt” (cheat a bit) in the kitchen instead of rigidly sticking to recipes. Her programs just before Christmas Eve provided invaluable tips on how to get a crisp crust on a pork ribbe, or how to make Norway’s various traditional stewed vegetables. She invited prime ministers and many others into her TV studio kitchens, always smiling and speaking reassuringly in her soft west coast dialect.